Capes rates have dropped markedly for short period to $12,000/pdpr. 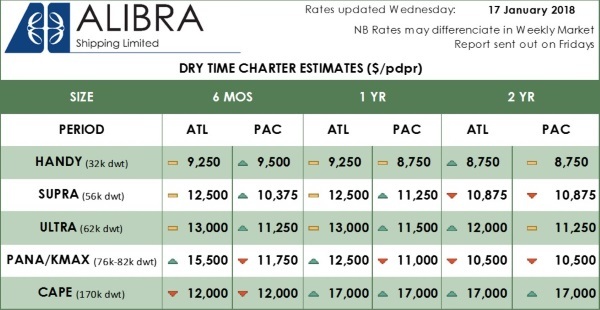 Panamax outlook is mixed with rates as high as $15,500/pdpr reported for Atlantic delivery and $11,750/pdpr for Pacific. Iron ore has fallen slightly to $77/mt whilst RBCT coal has risen to as high as $95/mt.